In a study published today in Nature Geoscience, the team explored the physics of "stagnant slabs." These geophysical oddities form when huge chunks of Earth's oceanic plates are forced deep underground at the edges of certain continental plates. The chunks sink down into the planet's interior for hundreds of miles until they suddenly—and for reasons scientists can't explain—stop like a stalled car. CU Boulder's Wei Mao and Shijie Zhong, however, may have found the reason for that halt. 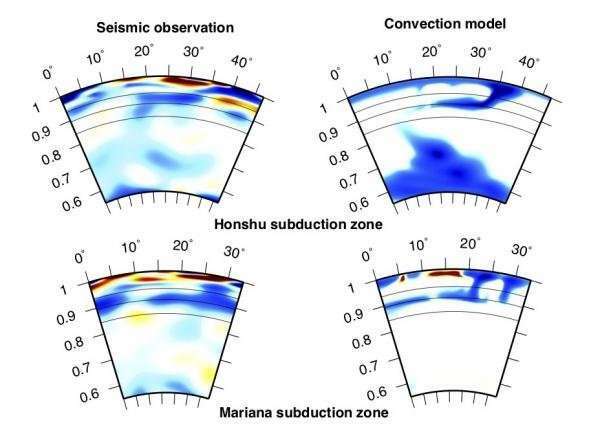 Using computer simulations, the researchers examined a series of stagnant slabs in the Pacific Ocean near Japan and the Philippines. 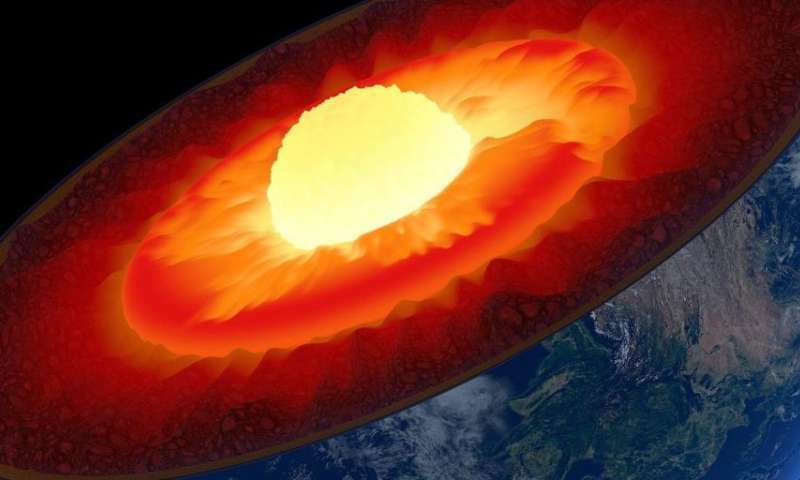 They discovered that these cold rocks seem to be sliding on a thin layer of weak material lying at the boundary of the planet's upper and lower mantle—roughly 660 kilometers, or 410 miles, below the surface. The planet, in other words, would still behave like an engine—just with a few sticky spots. "New research suggests that the story may be more complicated than we previously thought," Zhong said. Yes, The mechanics of the Earth, combined with the Natural Order. Beautiful in a fearsome way.